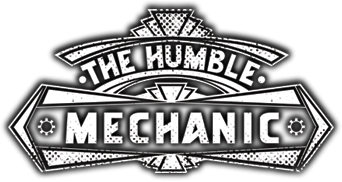 For a limited time all Humble Mechanic fans get 25% off this rail. AND ALL SONIC TOOLS! Nice tool kit. I wish you had this sooner, i would have saved myself some money buying all those other tools. VW Viewed my 2006 Jetta since last year Fall and refused to replaced the fenders sating they were worked on before an the pain thickness exceeds their specks, the rear fenders also the L & R Rocker panels were not covered also, only the hood and trunk that haven’t worked on before, this Jetta is a TDI and I am getting over 1100 KM per tank since I done some work on it myself, before this I was making between 850 and 1000 KM per tank, I replaced the fuel filter and housing besides regular Oil and filters change, the only different thing this time is the fuel filter housing were leaking after the filter change so I replace the unit. Useful tool kit, looks cool. 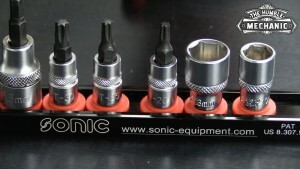 I am going to buy these tools for my VW. Right angle PIN spanner for loosening the 1999 VW Gold TLS Timing belt tensioner?? So how do we purchase? I am not seeing a button.